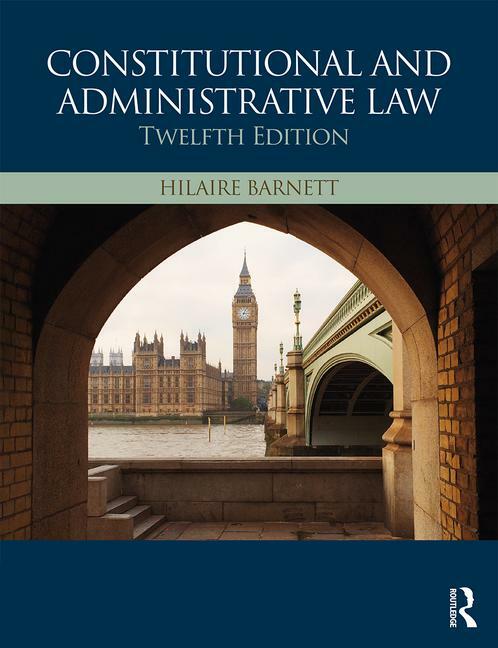 Hilaire Barnett’s Constitutional and Administrative Law has provided generations of students with reliable, accessible and comprehensive coverage of the Public Law syllabus. Mapped to the common course outline, it equips students with an understanding of the constitution’s past, present and future by analysing and illustrating the political and socio-historical contexts which have shaped the major legal rules and principles of public law, as well as on-going constitutional reform. Future developments, particularly in relation to 'Brexit' will be discussed in regular updates to the companion website. Hilaire Barnett, BA, LLM was formerly Senior Lecturer in Law at Queen Mary, University of London.